All of you must have heard that air conditioner needs to be bought after one has checked its ratings. But the question that comes to mind here is what air conditioner ratings are? The acronyms that sum up air conditioner ratings include SEER, AFUE, HSPF, and EER. These are not mere acronyms but they have important implications when it comes to the capabilities and energy efficiency of air conditioners and heating equipment. These efficiency standards are governed by the U.S law and they are regulated by the U.S. Department of Energy (DOE). It is mandatory for a cooling or heating equipment to get an energy rating before the unit is sold to consumers. In case you are using either a heating or a cooling unit, it is important to understand the implications of these ratings. Seasonal Energy Efficiency Ratio or SEER is used to measure the cooling efficiency of air conditioners or heat pumps. It is said higher the SEER rating more efficient is the air conditioning unit or the heat pump and the result is energy savings and money savings at the same time. Currently, the requirement is such that air conditioners and heat pumps should have a SEER rating of 13 and units which have a lower SEER rating are considered inefficient. Energy Efficiency Ratio or EER is an older method of calculating the energy efficiency of air conditioners. Unlike SEER which measures the seasonal efficiency of HVAC units, the EER is more of a constant value. To put it simply, EER is a technical number while SEER is a marketing number. In other words it can be said that EER is a single rating point and it represents the peak load rating. 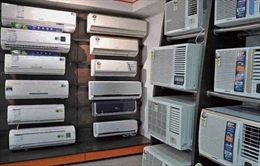 Just like SEER, air conditioners which have a high EER rating are considered more efficient. On the other hand Average Fuel Utilization Efficiency or AFUE measures the efficiency of furnaces which operate on gas or oil. AFUE is expressed in percentage and with this rating one is able to understand how much fuel is used to heat ones home and the amount of fuel that is wasted. Higher the AFUE rating of a furnace more is its efficiency. Presently an efficient furnace has an AFUE rating of 96.7 percent. By this it means that 96.7 percent of the fuel is converted to heat energy and the remaining 3.3 percent is lost through the chimney. Heating Seasonal Performance Factor also known as HSPF is used to measure the efficiency of heat pumps. 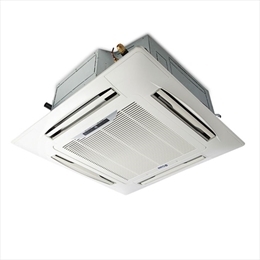 On the other hand the cooling capacity of heat pumps is measured using SEER rating. The higher the HSPF rating more is the efficiency of the heat pumps. The modern day heat pumps need to have a HSPF rating of 6.8 and some of the heat pumps also have ratings as high 7.7 and 10. Last but not the least, after understanding the energy efficiency ratings of air conditioners and heating units it is important that consumers keep in mind these aspects while buying the units so that there can be enough energy savings which in turn is converted to money savings in the long run.